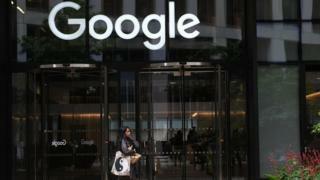 A Google employee's opinion criticising the firm's diversity initiatives is causing a furore at the firm. In an internal memo, a male software engineer argued the lack of women in top tech jobs was due to biological differences between men and women. "We need to stop assuming that gender gaps imply sexism," he wrote in the piece which was widely criticised. But the author said he had received "many personal messages from fellow Googlers expressing their gratitude". Posted on an internal discussion board, the article was published in full by tech website Gizmodo. It argues that the "abilities of men and women differ in part due to biological causes and that these differences may explain why we don't see equal representation of women in tech and leadership". The unnamed author says women generally "prefer jobs in social or artistic areas" while "more men may like coding". 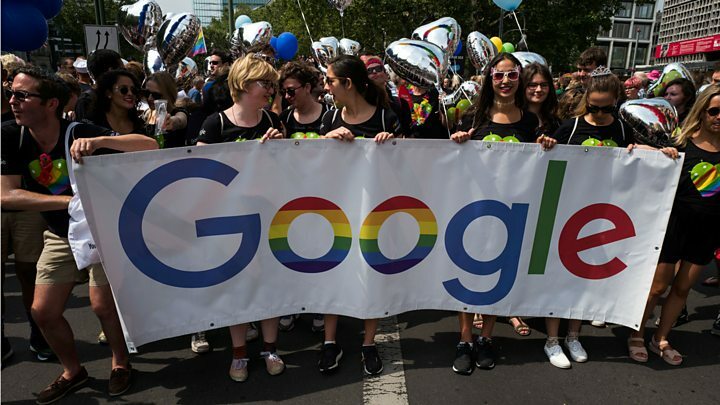 The article prompted a response from the search engine giant's new head of diversity Danielle Brown, who said "the heated debate" over the issue had "compelled" her to say a few words. In an internal email, published by tech website Motherboard, she said the article was "not a viewpoint that I or this company endorses, promotes or encourages". "Diversity and inclusion are a fundamental part of our values and the culture we continue to cultivate," she added. "We are unequivocal in our belief that diversity and inclusion are critical to our success as a company, and we'll continue to stand for that and be committed to it for the long haul." On social media, women spoke out to criticise the memo and attitudes of sexism in the workplace more generally. In blog on the site Medium, former Google engineer Erica Baker said she was "disappointed but unsurprised". "This is not entirely new behaviour... What is new is that this employee felt safe enough to write and share an 8 page sexist screed, internally," she wrote. A diversity report Google published in June showed that about 69% of its total workforce is male, and 56% are white. Women fill only 25% of leadership roles and 20% of technical jobs such as computer programmers. There have been complaints about a culture of sexism and lack of diversity in the technology sector more broadly. Several executives, including chief executive Travis Kalanick, quit Uber this year following claims the ride sharing firm had not done enough to tackle complaints about sexual harassment. And in June, Silicon Valley investor Justin Caldbeck took an indefinite leave of absence after he was accused of sexually harassing six female technology executives. "The gap of influence between male venture capitalists and female entrepreneurs is frightening and I hate that my behaviour played a role in perpetrating a gender-hostile environment," Mr Caldbeck wrote in a statement released at the time.